We will be selling $5, $15, and $25 tickets at the door; however, if you would like to purchase one of our three ticket packages in advance, you can do so here and save money. 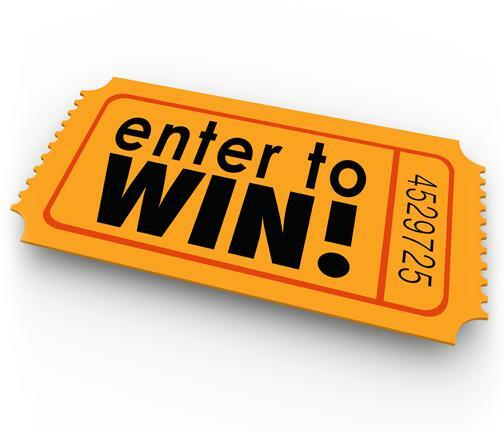 We will prepare your tickets for you and put them in an envelope with your name on it. They will be available for pick up at the check-in desk when you enter the event. Put it on your calendar! DHR's Annual Scholarship Auction is coming up on Sunday, February 24th. Our annual fabulous and fun Scholarship Auction raises needed funds for scholarships! With lots of extraordinary and ordinary items up for auction, it's always a wonderful event! This year, we will again have some live auction prizes, and will be showcasing an all new format for our silent auction. We will be having Chinese auctions for all of our silent auction prizes, enabling everyone to participate and have a chance to win amazing packages. We will be selling $5, $15, and $25 tickets that can be entered to win all different types of Chinese auction prizes. We will also be offering delicious Chinese cuisine, a hot soup bar, and delectable desserts. We hope you can join us, have a wonderful time, and support our school! Doors open at 6:30pm at Derech HaTorah, 71 Maiden Ln. Rochester NY, 14616. Cover charge is $36. For more information, call our office at 585-266-2920. Thank you so much! Your support of our school's creative methods of raising needed funds is truly appreciated. In 2007, we started an annual fundraising Scholarship Auction. 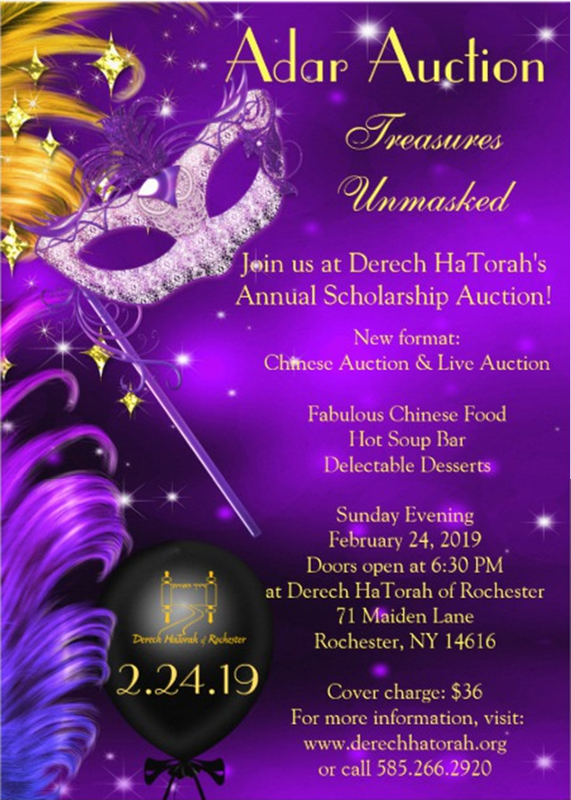 Its purpose was to raise funds for Derech HaTorah of Rochester, the elementary division of Rochester Yeshiva (the Talmudical Institute of Upstate NY). Our annual fabulous and fun Scholarship Auction raises needed funds for scholarships! With lots of extraordinary and ordinary items up for auction, it's always a wonderful event! 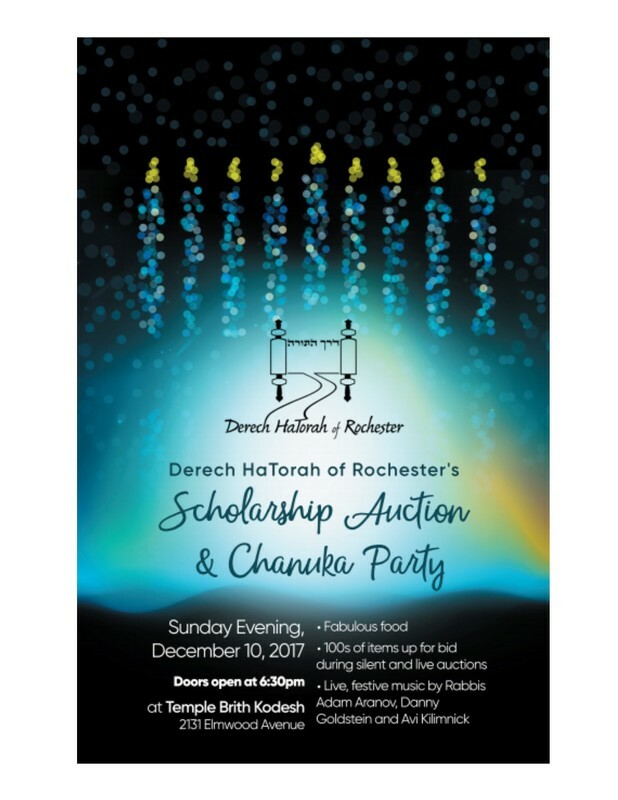 Our live and silent auctions, this year with a Chanuka Party theme and live music, will be held on Sunday, December 10, 2017 - and we hope to welcome you in person. Doors open at 6:30pm at Temple Brith Kodesh, 2131 Elmwood Avenue in Brighton. Cover charge is $36. For more information, call our office at 585-266-2920. 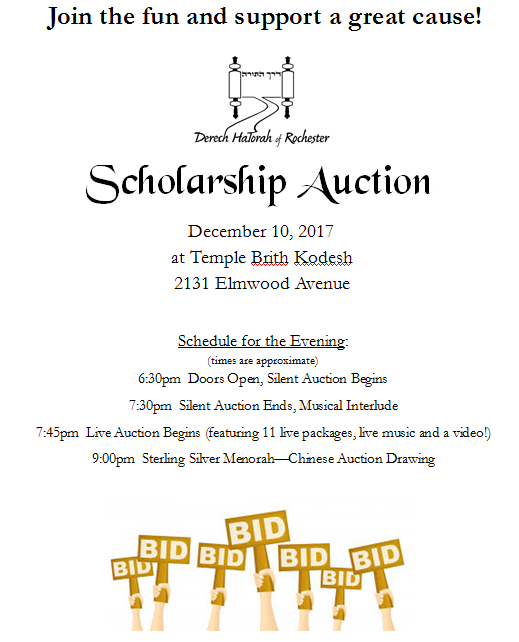 This year, for those who cannot attend the live events, or for those who want to do more, we have set up an online Chinese Auction to win a Sterling Silver Menorah! For only $10 per ticket, you can help replenish our depleted scholarship funds and win this gorgeous, eye-catching Bolero-style Menorah valued at over $1,000. Click on the Menorah to buy tickets to win this majestic Sterling Silver Menorah!